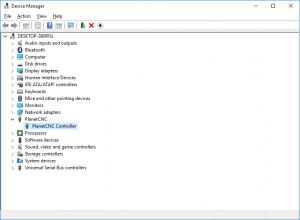 PlanetCNC TNG software uses new and optimised USB driver. In order to update and use your PlanetCNC Mk3 series controller with PlanetCNC TNG software, you would need to use latest PlanetCNC USB driver. 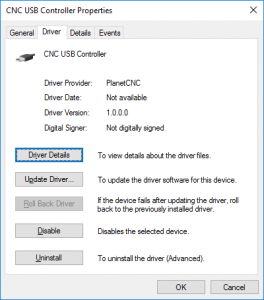 You will notice that USB driver version is 1.0.0.0. and that it is not digitally signed. After you download file double click on the .exe file and follow installation wizard. 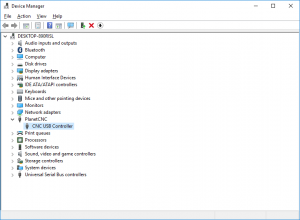 After installation is complete, it would be best to restart your computer.